MID-ARGYLL: Large numbers of Siskin 20+ and 6 Redpoll visiting garden feeders daily and male Blackcap at Carsaig House (Jon Close). A Glaucous Gull at Lingerton rubbish tip, Lochgilphead today and a Cuckoo at Loch Arail, Knapdale on 15th Apr (Andrew Tongue per David Jardine). 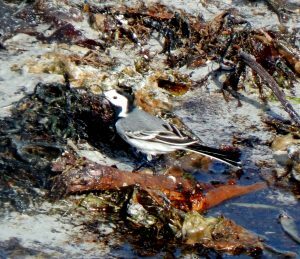 TIREE: An adult Iceland Gull and 2w Glaucous Gull at Traigh Bhagh, 1 Lapland Bunting, 11 Sand Martin and 3 White Wagtail at Sorobaidh Bay and 2 White Wagtail at Balephetrish Bay (John Bowler). 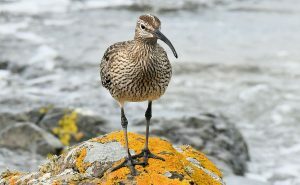 KINTYRE: A Whimbrel and 16 White Wagtails at Machrihanish SBO (Eddie Maguire). Whimbrel – MSBO, Kintyre 17th Apr (Eddie Maguire). 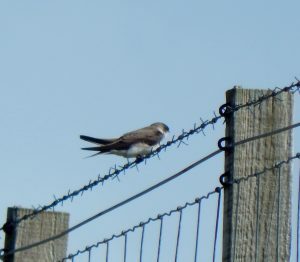 Sand Martin – Sorobaidh Bay, Tiree 17th Apr (John Bowler). White Wagtail – Balephetrish Bay, Tiree 17th Apr (John Bowler).